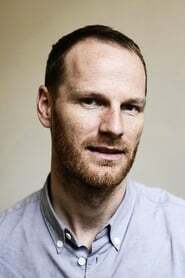 Joachim Trier (born 1974) is a Norwegian film director raised in Oslo, Norway. His father Jacob Trier was the sound technician of Pinchcliffe Grand Prix, a notable film produced in Norway. He is a distant relative to Danish director Lars von Trier. As a teenager, he was a top skateboarder who began shooting and producing his own skateboarding videos. His passion for film making furthered in his early twenties and this ultimately led to his studies at the European Film College in Ebeltoft from 1995 to 1996 and at the UK's National Film & Television School. In an interview with phase9 TV, Trier expressed that his future projects would pertain mainly to his personal interests. His films focus primarily on memory and identity, which he regards as essential themes for cinema. His debut film Reprise follows the story of two aspiring writers and their volatile relationship. Released by Miramax films in 2006, it received several national awards, including theAmanda Award and the Aamot Statuette, as well as international recognition, with prizes at film festivals in Toronto, Istanbul, Rotterdam, Milano and Karlovy Vary, and led him to be named one of Variety's "10 Directors to Watch" in 2007. His 2011 film Oslo, August 31st premiered in the Un Certain Regard section at the 2011 Cannes Film Festival. Regarded as an adaptation of Louis Malle's The Fire Within, the film's original plot is shifted from the location of Paris to Oslo. The film received critical acclaim and was featured on several critics' 2012 top 10 lists. He was named as one of the jury members for the Cinéfondation and short film sections of the 2014 Cannes Film Festival. Trier's next film will be in the English language and is entitled Louder Than Bombs. Production started on September 2014 and the cast includes Jesse Eisenberg, Gabriel Byrne,Isabelle Huppert, David Strathairn, and Amy Ryan. It was selected to compete for the Palme d'Or at the 2015 Cannes Film Festival.